An edited version of this article previously appeared on Ca Fleure Bon written by Megan In Sainte Maxime. I recently spoke with Stéphanie Bakouche, Fragrance Development Manager and perfumer for L’Artisan Parfumeur. Part 1 follows the early years and the creation of her first perfumes including Invasion Barbare for Parfums MDCI. 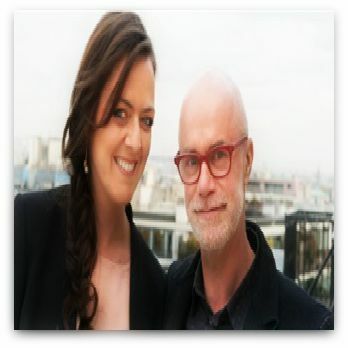 Part 2, that you will read here focuses on Stéphanie’s work at L’Artisan Parfumeur and the creation of Rose Privée with Bertrand Duchaufour. This article is a result of our conversation at Cabris with additional written material from Stéphanie. In 2007 Stéphanie was hired at L’Artisan Parfumeur as a trainer and was promoted to International Training Manager two years later. This new role placed her in charge of worldwide staff training and the development of perfume workshops, where bespoke perfumes are created. The role also allowed her to visit the L’Artisan Parfumeur stores in Europe, Dubai and the Americas. Then in 2012, she became the Fragrance Development Coordinator, and her current role as Manager Fragrance Development followed soon after. Stéphanie is at the heart of discussions of ideas for new launches, so in this respect her role is similar to a creative director. She’ll look at olfactory mapping, the gaps in the market as well as ensuring new developments are consistent with the L’Artisan Parfumeur range. Trends and best sellers on the market will also be considered. 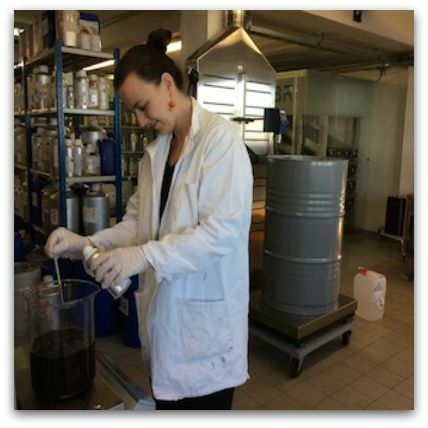 Stéphanie briefs perfumers and takes part in olfactory or evaluation sessions. She’s still in charge of training manuals, how the story is built and how it is transmitted to staff. Quality control is also a part of her role. Another aspect involves reworks of current fragrances to respect IFRA (International Fragrance Association) regulations. However with the recent buy out by Puig, she imagines that this element may drop out of her role as it already has a compliance department. Stéphanie also manages to squeeze in some time for creating perfume. As you can see Stéphanie’s role is fairly broad and it strikes me as the sort of position that would not necessarily exist in a larger company, as one person would be delegated to each function. She enjoys the scope though and says that it keeps the job interesting. Luckily for Stéphanie she arrived at L’Artisan Parfumeur around the same time as Bertrand Duchaufour She worked next door to him and had access to the lab. Bertrand would offer advice as needed on her creations. Even though her job was full, she kept developing her perfume ideas and finally the time was right for what was to become Rose Privée, L’Artisan Parfumeur’s latest release. As a perfumer, Stephanie wants to leave her mark on a creation. The idea for Rose Privée was to evoke the centafolia roses that bloom in the month of May in Grasse. “My idea and first samples have been welcomed by the team, so I kept on working on this fragrance for 14 months, with the amazing luxury of having Bertrand Duchaufour as a Master Perfumer guide and Artistic Director. We wanted something extremely Mediterranean. I worked with an unusual quality of citrus, there’s an amazing company that makes some green mandarin and a clementine that I love and I used some basil and some violet leaf… I immediately worked with a little hint of carnation as when I smell may rose absolute I find it very spicy and I needed some other flowers to make the heart bouquet, because rose also on its own is old fashioned. Stéphanie is an apprentice to Bertrand, but not in the classical sense. She doesn’t weigh components for Bertrand, but he provides guidance and advice. They also bounce ideas around with each other. For Stéphanie this is a brilliant way to work. She also says that Bertrand has the best technical knowledge of any one in the industry, so she is fortunate to have the chance to work with him and learn from his experience. “It’s probably the most amazing development I’ll ever do having Bertrand Duchaufour as an Artistic Director and evaluator, and of course as a Master Perfumer. And advice on all the ingredients is something absolutely unique and exceptional. It’s amazing to have this luxury to have Bertrand guiding you in the steps of your development. And it’s true that the ideas for the composition were my ideas but his help has been absolutely priceless in helping me to highlight the different facets of the fragrance, with advice regarding the percentage of this and that ingredient. I’m always interested to hear what perfumes perfumers like to wear. Stéphanie’s favourites in the L’Artisan Parfumeur range (apart from Rose Privée of course) are Voleur de Roses (Michel Almairac) and Dzongkha (Bertrand Duchaufour). 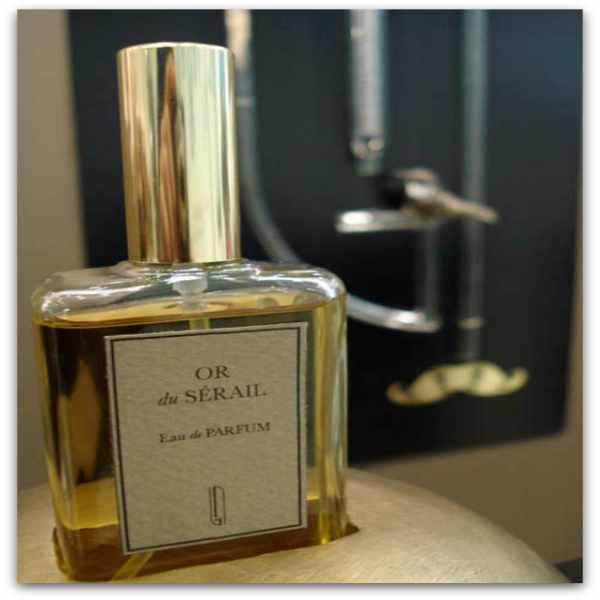 “I love Serge Lutens fragrances and admire Christopher Sheldrake. I really love Kenzo Amour. It’s a doudou (something children sleep with to comfort them), so comforting. I wore it when I had my baby girl … it has something sentimental for me. … I’m so crazy about Gucci Pour Homme. It’s smoky. Also some classical ones. I admire Mitsouko and No 19 and Heritage is the most amazing masculine. I’m part of the Osmothèque and so I have the chance to smell rare fragrances and I’m crazy about iris and I’m probably going to get a tattoo soon. Iris Gris from Jacques Fath I would die for and Bertrand said he has the formula and now he can’t find it. I keep some hope. She also loves patchouli and her favourite perfume in this genre is Lorenzo Villoresi’s Patchouli. In terms of other perfumery notes, she talks about her loves. Stéphanie is currently in the midst of developing perfume projects and sees more creativity in her creation role in the future but she is also having a lot of fun as a Manager of Fragrance Development and working with Bertrand. Interesting article. Learnt a lot. Thanks greekflower. It was wonderful talking with Stephanie and the setting in the Roudnitska gardens felt very special.